No net loss and related goals have emerged for a broadening range of natural targets, from forest cover, biodiversity and fisheries to land productive capacity and carbon. 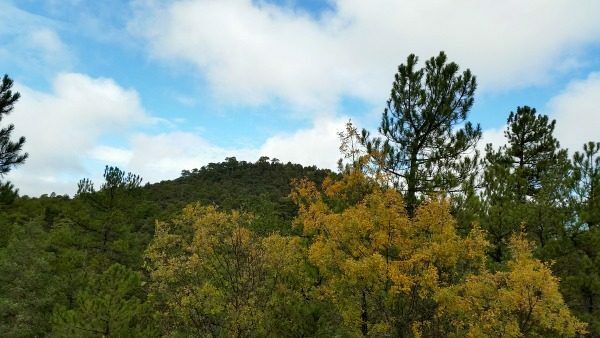 The many meanings of no net loss in environmental policy (Los numerosos significados de la no pérdida neta de biodiversidad en la política ambiental) es an article published in Nature that examines biodiversity no net loss policies and related goals, and identify three main forms of reference scenario. ‘No net loss’ is a buzz phrase in environmental policy. Applied to a multitude of environmental targets such as biodiversity, wetlands and land productive capacity, no net loss (NNL) and related goals have been adopted by multiple countries and organizations, but these goals often lack clear reference scenarios: “no net loss compared to what?”, researchers wonder. Here, we examine policies with NNL and related goals, and identify three main forms of reference scenario. We categorize NNL policies as relating either to overarching policy goals, or to responses to specific impacts. We explore how to resolve conflicts between overarching and impact-specific NNL policies, and improve transparency about what NNL-type policies are actually designed to achieve. In the light of this, the authors examine policies considering no net loss and related goals, and identify three main forms of reference scenario as relating either to overarching policy goals, or to responses to specific impacts. In their analysis, they focus on the conceptual basis behind the approaches, to reveal what they are designed to achieve if they work perfectly, notwithstanding the many practical challenges to policy effectiveness. NNL policies are categorised as relating either to overarching policy goals, or to responses to specific impacts. In addition, the paper explores how to resolve conflicts between overarching and impact-specific NNL policies, and improve transparency about what NNL-type policies are actually designed to achieve. On the one hand, an overarching goal with a broad scope, applying to all impacts (anthropogenic and natural, large and small) on the environmental target across a jurisdiction, such as a commitment to achieve NNL of biodiversity by 2020or zero net deforestation by 2015. And, on the other hand, an impact-specific policy goal that is based on a narrower scope, such as counterbalancing losses from a particular category of development impacts using offsets. Such impact-specific policies may be, but are not always, considered a way to help achieve overarching policy goals. Although the term NNL is used in both cases, the reference scenario against which this is to be achieved can be very different. For example, biodiversity offset policies that have a goal of NNL tend to relate only to the component of loss caused by the particular impact in question (for example, the removal of habitat to make way for an infrastructure project). Therefore, a successful NNL outcome in that instance can still mean that less biodiversity exists than before the impact, if we accept that biodiversity declines caused by factors other than the particular impact in question would have occurred. However, overarching policy goals seem to imply a different scenario; for example, that declines in the targeted biodiversity will be halted, regardless of what is causing them. “The indiscriminate and unqualified use of NNL to describe these very different (but interlinked) outcomes obscures policy debate and the capacity for evaluation. Furthermore, the opacity about reference scenarios for such goals contributes to poor practice in estimating losses and gains at both the level of particular impacts and across landscapes or jurisdictions”, the researchers highlight. Given such situation, the authors of The many meanings of no net loss in environmental policy review and distinguish among the reference scenarios that are implied by NNL-type policies at overarching and impact-specific levels. We critically evaluate these reference scenarios in the context of different policy goals, and demonstrate the widely different outcomes that they imply for the environmental features they target (for example, biodiversity). Finally, we examine the interaction between overarching NNL-type policies and impact-specific NNL policies, with practical guidance on how to ensure the two work in harmony, rather than conflict. Extract from the paper originally published in Nature.